The 2019-2020 Stewardship Campaign is underway! Have you made your pledge? 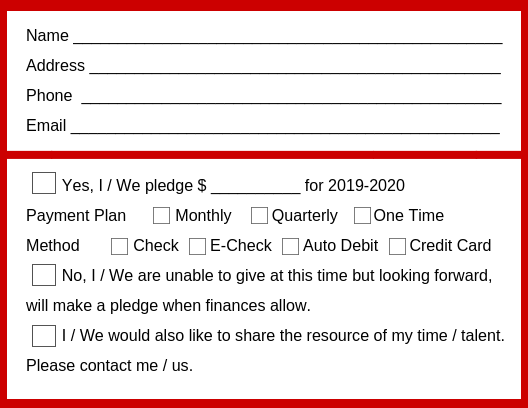 Please check this box to confirm that this is your pledge. Please contact me to arrange for automatic payment from my bank account. Contact me to arrange to contribute stocks, bonds, or mutual funds.